Square D Homeline™ Ground fault protecting Class A miniature circuit breaker has an interrupt rating of 10-Kilo-Amps. 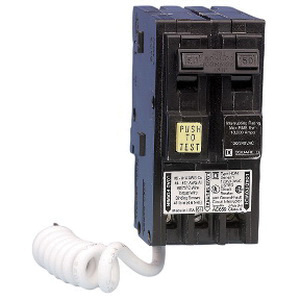 This 2-Pole, 1-Phase circuit breaker is rated at 50-Amps and 120/240-Volts AC. This type HOM circuit breaker offers plug-in mounting and has screw clamp terminals for connection. The circuit breaker features thermal-magnetic trip unit that trips during short circuits. It accommodates 12-4-AWG aluminum, 14-6-AWG copper wire. 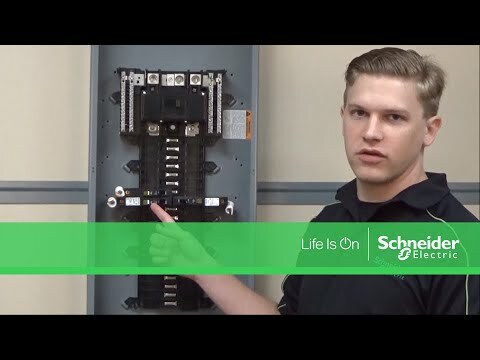 The circuit breaker meets HACR and UL standards.